My name is Aitor Delgado. 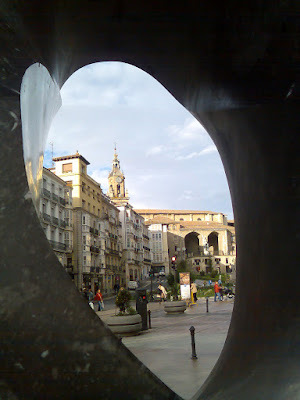 I am an expert local private tour guide in Bilbao, San Sebastian, Pamplona, Biarritz, Vitoria, Rioja wine area & nearby areas of the North of Spain & Southwest France. Member of the Tourist Guide Association for the Promotion of a Quality Tourism in the Basque Country. More than 99% 5 stars reviews in Bilbao, Spain in TripAdvisor. Winner of the Certificate of Excellence 2014, 2015, 2016, 2017 & 2018 in TripAdvisor. 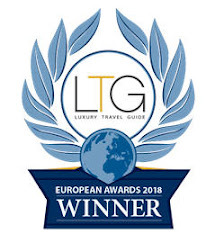 Winner of the Luxury Travel Awards in 2017 & 2018. Specialized on bespoke tours in the North of Spain. In my travels I used the local languages as a way to discover real local way of living and to understand better local culture. I speak fluently Spanish, Basque, English & Italian and I have as well a medium level in French and German and say a few words and sentences in many other languages. With this experience, I learn about how to help visitors to understand the art, history, traditions and culture of the Basque Country which I am using in my private tours. Let me be your host in the Basque Country and show you the must seen but also the hidden gems of this region both in Spain and France with my exclusive tours: Basque Country, Pays Basque, Castille, Navarre & La Rioja: its museums (Bilbao is not only Guggenheim Museum), traditions, culture, nature, food and wines. Discover all aspects of our region with a real local tour guide born and feed! All my tours can be tailored only for you and the ones you want to share with (your partner, family, children, friends...). If you want to have some ideas of possible tours, you can click on the following links: Bilbao, San Sebastian, Rioja or Vitoria-Gasteiz. For LGTB friendly tours you can contact with Ernesto. And always at your pace and according to your interests and the time you have. 100% of the opinions of our clients are rated as excellent or very good. Follow me: Instagram - Facebook - Twitter - Linkedin.